They have a god called Brigit! Fiery Irish Goddess in charge of Poetry, Healing, Smithcraft and Martial Arts. Very popular. Now that's an interesting skillset. Aussie gods were nice gods very approachable. Only the spirits were nasty pieces of work. Under Kali (Hindu goddess) the listing shows her has having fangs, being bloated with blood, awful, terrible, horrifying...has some good points. We just don't know what they are yet. They don't even mention her garland necklace made from the severed heads of children! But she really isn't all bad and is in fact quite necessary. Kali is Death. 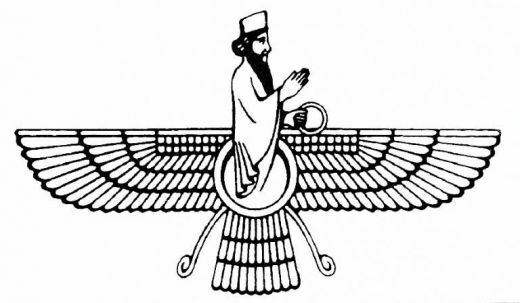 Without death there can be no new life. Additionally, she saved the Earth from ongoing destruction by a nasty demon, therefore saving humanity. What happens in this myth is some other deities were trying to slay a demon named Raktabija. Problem is, each time they would cut him, each severed body part or drop of blood would sprout a new copy of Raktabija when it hit the ground. 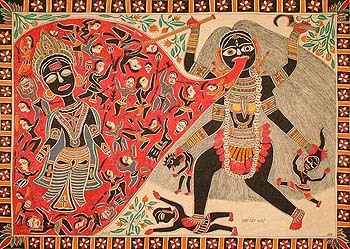 Kali came and spread her tongue across the Earth and gathered all of Raktabija's blood and put his copies in her mouth, ultimately saving the world from Raktabija's antics.